If you're one of the many fans clamoring for more 'Justice League' movie promos then today is your day. Not only has there been a new JL poster released, an Aquaman character poster, but also a brief Aquaman teaser video touting the release of a full trailer this Saturday! Justice League Sneak Peek #1 (2017): Check out the new Justice League sneak peek trailer starring Gal Gadot, Amy Adams, and Ben Affleck! The Today Show debuted the short teaser Thursday morning announcing that the 'Justice League' trailer will premiere in two days on Saturday, March 25th. The quick montage features Batman tossing Arthur Curry his trident and demonstrating his powers against the sea. 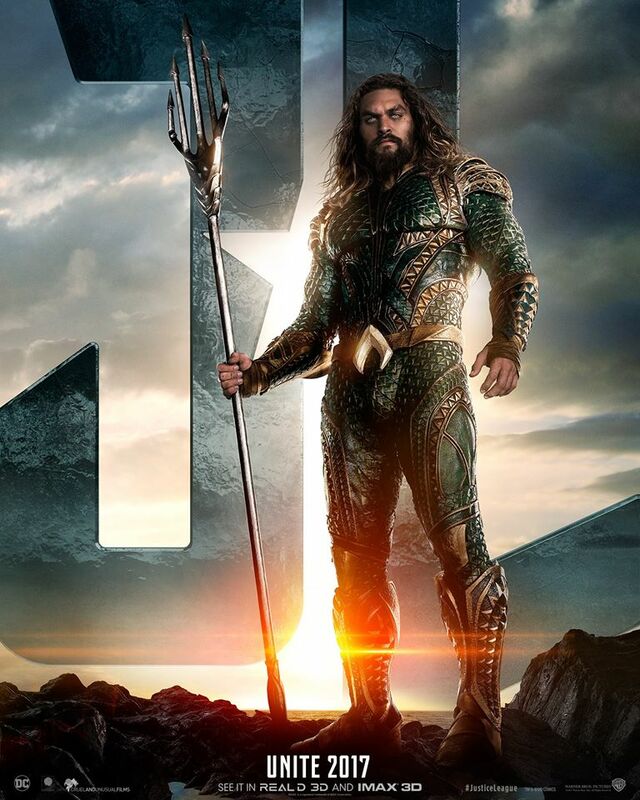 Below you'll find the new character poster that shows actor Jason Momoa in his full King of Atlantis regalia, looking majestic and fierce. When the trailer arrives on Saturday, March 25, it'll be one year after the theatrical release of Batman v Superman: Dawn of Justice. The critical reaction to that film has been examined ad nauseam ever since and continues to be a polarizing subject online. Nonetheless, the film went on to make $330m domestically and $873m worldwide. Enough fans made Dawn of Justice and Suicide Squad a hit despite reviews and with Wonder Woman next on deck to arrive on June 2nd, everyone will be keeping an eye on its performance. Much is expected from Justice League considering it includes the greatest collection of DC Comics' heroes we've ever seen in live-action before. 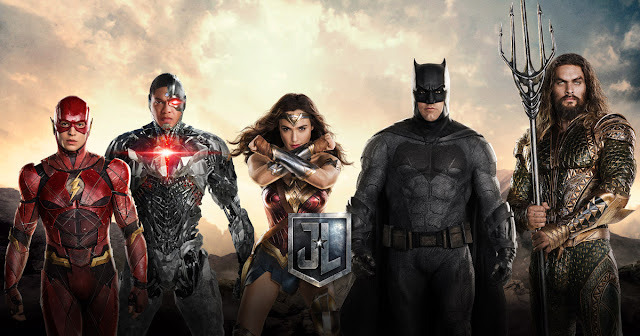 Batman (Ben Affleck), Wonder Woman (Gal Gadot), Flash (Ezra Miller), Cyborg (Ray Fisher), and maybe even Superman (Henry Cavill) will assemble to take on a new threat. If a blockbuster tentpole film needed to hit a billion-dollar box office it's this one. It should with this amount of star power and built-in general audience recognition. Will it make everyone happy though? Probably not but it's one of the most anticipated movies of the year no matter what. 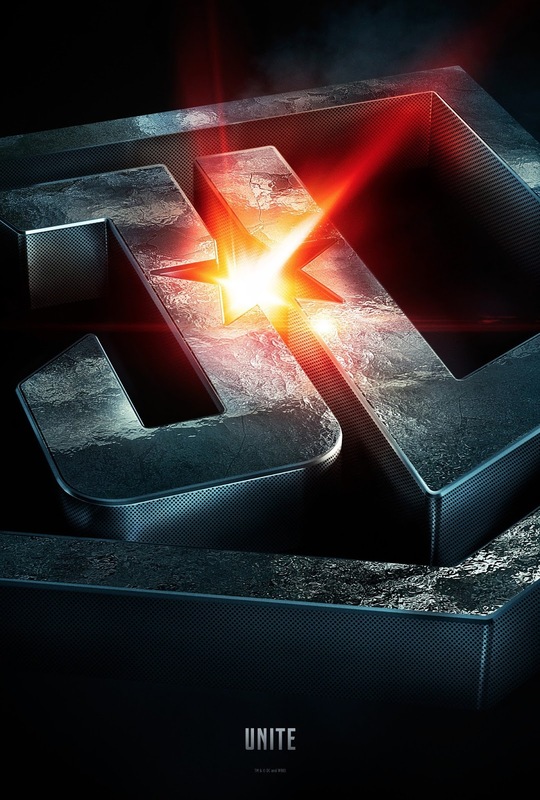 UPDATE: New 'Justice League' website set up. Go here. Looks like it's just getting built up as new character posters drop revealing new content. Aquaman Batman Ben Affleck DC Comics Jason Momoa Justice League movie movies poster video Warner Bros.
Labels: Aquaman Batman Ben Affleck DC Comics Jason Momoa Justice League movie movies poster video Warner Bros.